Blog hops are a great way to gain new followers! Please grab the Button, help make this hop big! Co-Hosted by Mrs. Marine and Stacy! Then Link-Up 6 ways! Follow Mrs. Marine & Stacy in every way you choose, leave a comment on each blog to let us know you did so we can Stalk you back! 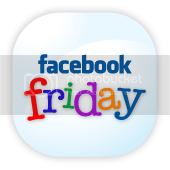 Link-up your Blog Post, Facebook, Twitter, Feed, Blog Frog and Networked Blogs below! 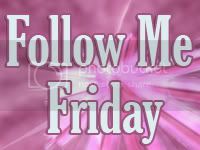 Link directly to your Blog post about "Stalk Hop Friday" or Friday Follow! It's a lot easier for others to leave a comment and follow you back if they have a specific post to comment on. 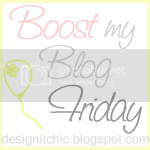 More Friday Blog Hop Fun! Followed you on twitter and networked blogs! Hi,visiting from the You Like Me! Friday Blog-Hop. I'm now following your blog. I would love if you could return the favor. New follower on GFC, Networked blogs and Twitter. Thanks for hosting. I have a page on my site that lists more than 250 hops, memes, and photo challenges… some for each day of the week. Yours is listed there, too! Check under the header for the link to that page. 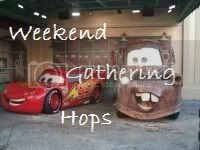 I’ve also started a BlogFrog community that focuses on hops, carnivals, memes, and photo challenges. Go to http://theblogfrog.com/1504201 to visit & participate. Thanks for hosting this awesome hop! I'm having an awesome giveaway right now, come check it out!! Yay - say no to Captchas! I'm following from the Bee Friendly hop. Come visit me back! Excited to participate for the for the first time! New follower! Thanks for hosting!! New follower! Lovely blog hop, thanks for hosting! Thanks for hosting the hop! New follower! Please follow back! New follower, thank you for hosting the hop. Hi there, hoping to get some new followers with you blog hop here. Have a nice weekend! Stopping by from Feed Me Friday. Thanks for linking up this week. I was the featured blogger this week, you could be next! On a blog hop. Following you on Connect. Hey! On a Blog Hop... following you on Facebook! Can't wait to read what's next!! Here from the Friday Hop. Now following.